I can't actually remember the last time I did one of these posts but I do have lots of news to tell you! Strange Chemistry signs their next author - Ingrid Jonach! Strange Chemistry just announced in the last couple of hours the next author to join their ranks. Today it is the turn of INGRID JONACH with WHEN THE WORLD WAS FLAT (AND WE WERE IN LOVE)! Here is the summary of the book! Have you seen the trailer for Seraphina by Rachel Hartman? This book is presently getting a lot of attention. Have a look and see what you think? Little Brown launched a competition last week for readers to write their own ending to It Happened at Boot Camp. The winning entrant will receive a copy of both books in the It Happened series (It Happened in Paris and It Happened in Venice, which is published next month), and the entry will be posted on Little, Brown Books.net plus Molly Hopkins’ website http://www.mollyhopkins.co.uk/. To enter, simply submit your 500 word ending to betweenthesheets@littlebrown.co.uk with the subject line ‘It Happened at Boot Camp Competition’ by midnight on Thursday 2nd August 2012. 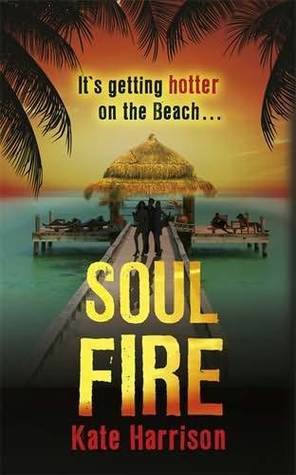 Mira Ink have an exciting book coming up for you in August. Pushing the Limits by Katie McGarry. Check out the trailer and see what you think. Now Is Good is soon to be released! 21st September sees the UK release of the film based on the book originally known as 'Before I Die' by Jenny Downham. You might want to take your tissues to watch it though! Well done ladies. More competitions coming to the blog soon. 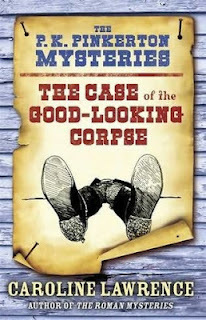 Two winners from the competition to win a copy of The Case of the Good-Looking Corpse by Caroline Lawrence did not reply to the emails in the time stated, so two new winners have been drawn. Congratulations ladies. Emails heading your way. That's another news round up done! I promise to try and do these posts on a more regular basis. Thanks for doing a this Really Random Tuesday post! Congrats to your new lucky winners!! Congratulations to all the winners! And I love the Seraphina trailer - and the book! Such a great fantasy read.